There is much truth behind the phrase "stress eating." Stress, the hormones it unleashes, and the effects of high-fat, sugary "comfort foods" push people toward overeating. Researchers have linked weight gain to stress, and according to an American Psychological Association survey, about one-fourth of Americans rate their stress level as 8 or more on a 10-point scale. In the short term, stress can shut down appetite. The nervous system sends messages to the adrenal glands atop the kidneys to pump out the hormone epinephrine (also known as adrenaline). Epinephrine helps trigger the body's fight-or-flight response, a revved-up physiological state that temporarily puts eating on hold. But if stress persists, it's a different story. The adrenal glands release another hormone called cortisol, and cortisol increases appetite and may also ramp up motivation in general, including the motivation to eat. Once a stressful episode is over, cortisol levels should fall, but if the stress doesn't go away — or if a person's stress response gets stuck in the "on" position — cortisol may stay elevated. Of course, overeating isn't the only stress-related behavior that can add pounds. Stressed people also lose sleep, exercise less, and drink more alcohol, all of which can contribute to excess weight. 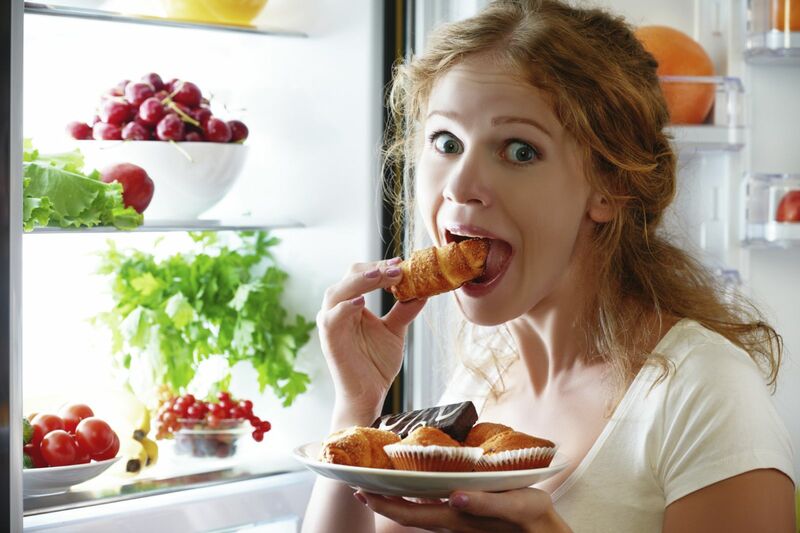 When stress affects someone's appetite and waistline, the individual can forestall further weight gain by ridding the refrigerator and cupboards of high-fat, sugary foods. Keeping those "comfort foods" handy is just inviting trouble. Meditation. Countless studies show that meditation reduces stress, although much of the research has focused on high blood pressure and heart disease. Meditation may also help people become more mindful of food choices. With practice, a person may be able to pay better attention to the impulse to grab a fat- and sugar-loaded comfort food and inhibit the impulse. Exercise. While cortisol levels vary depending on the intensity and duration of exercise, overall exercise can blunt some of the negative effects of stress. Some activities, such as yoga and tai chi, have elements of both exercise and meditation. Social support. Friends, family, and other sources of social support seem to have a buffering effect on the stress that people experience. For example, research suggests that people working in stressful situations, like hospital emergency departments, have better mental health if they have adequate social support. But even people who live and work in situations where the stakes aren't as high need help from time to time from friends and family.